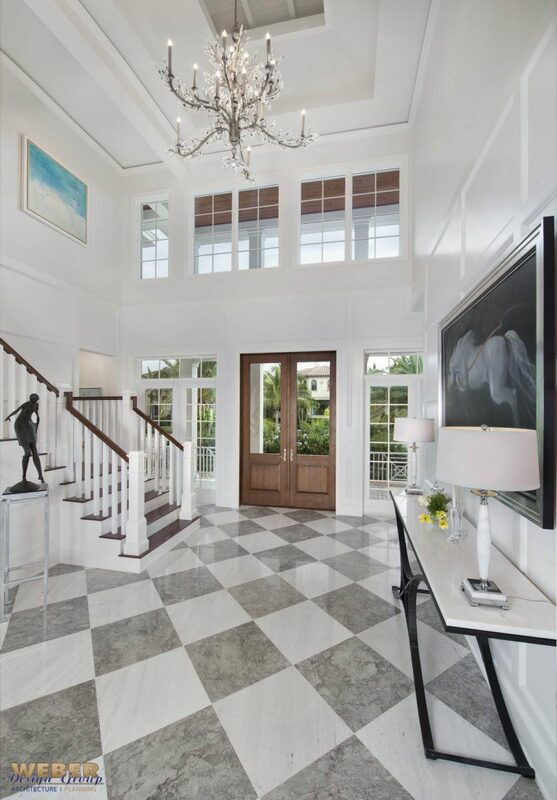 This two-story home of over 8,000 square feet includes four bedrooms, three full baths, two half baths, study and a separate cabana suite. 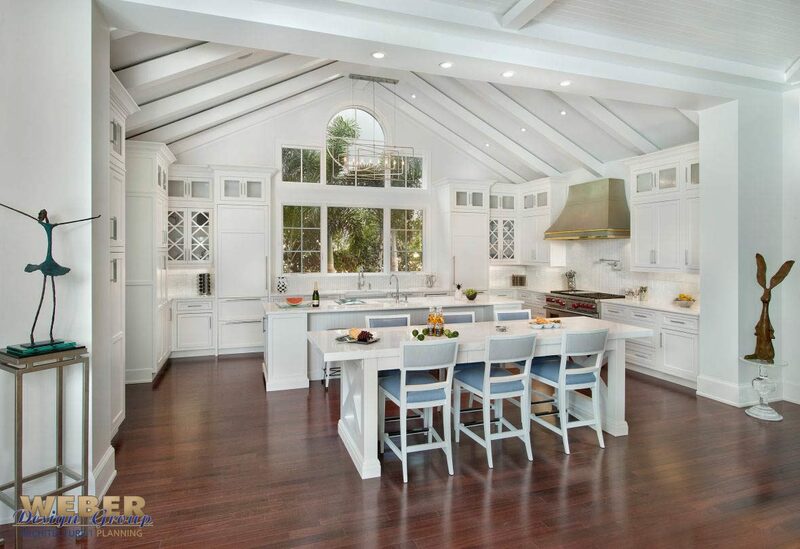 The design can aptly be described as Olde Florida charm meets West Indies style. 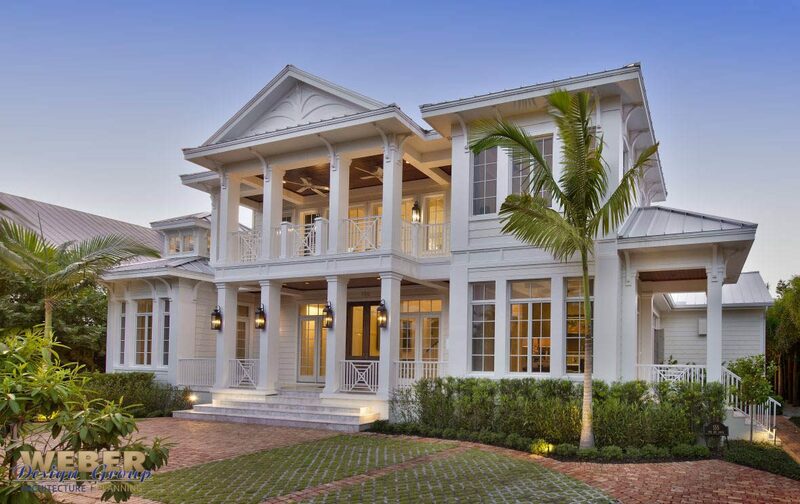 The exterior has a metal roof, siding, white railings and a two-story entry with a decorative Dutch gable typical of traditional British West Indies architecture. 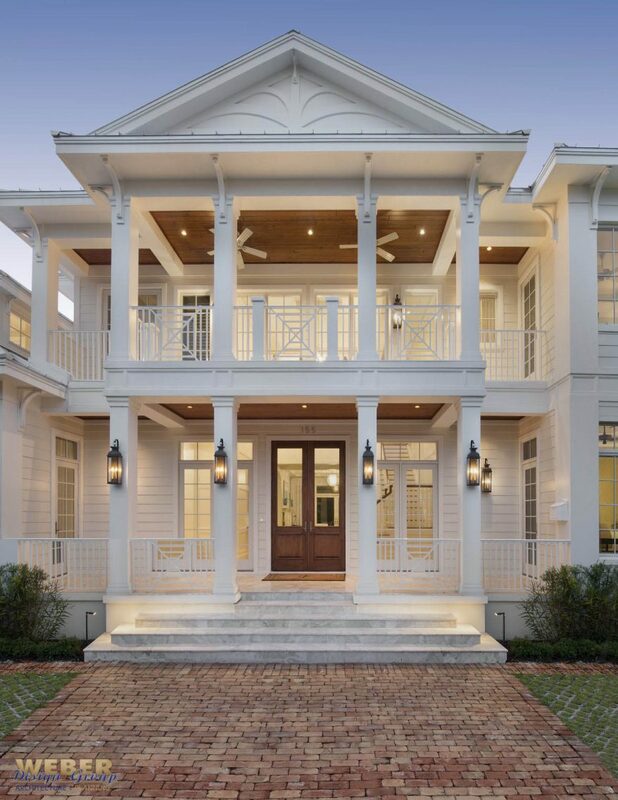 Stained tongue and groove ceilings on the front porch provide a contrast against the white siding that is further accented by a double mahogany door and two French doors with transom windows above. Natural light pours into the two-story foyer through large windows above the door, and the eye draws up to a sweeping grand staircase with decorative wood railings. Just beyond is the formal living room with fireplace. 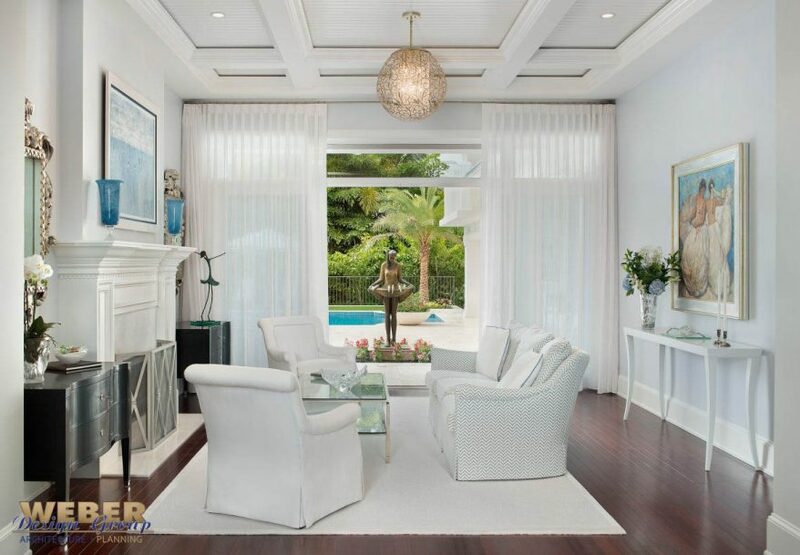 French sliding glass doors below transom windows highlight the room and a beautiful exposed-beam waffled ceiling. 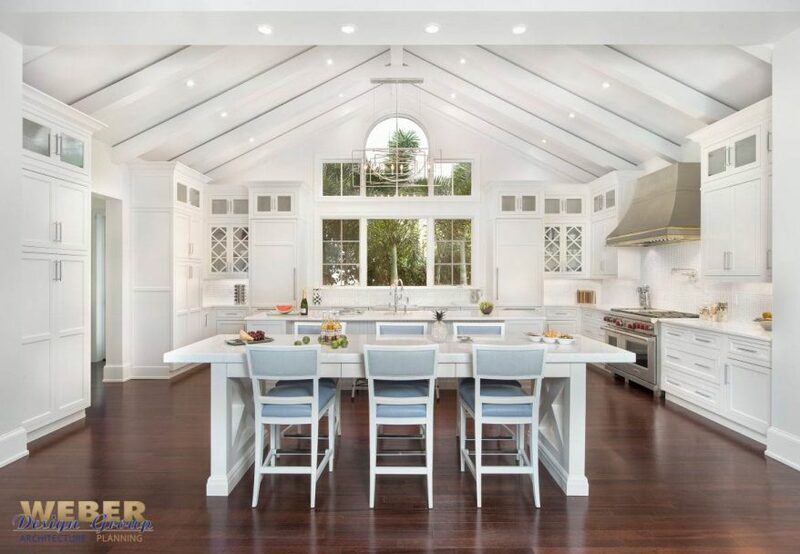 The family room and double-island kitchen are combined spaces with unique ceiling designs and a large vaulted wall of glass. Zero-corner sliding glass doors seamlessly open to the outdoor living and pool areas.